To verify your website’s authenticity you can claim your Pixpa website you own on Pinterest. 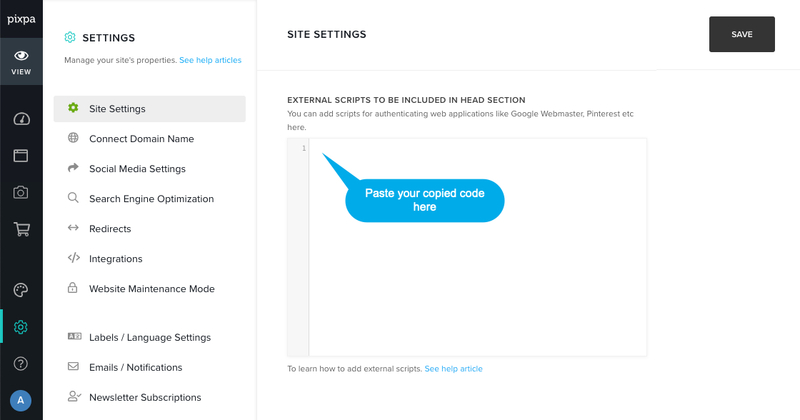 To claim your website, you’ll need to add a meta tag in <head> external script section. 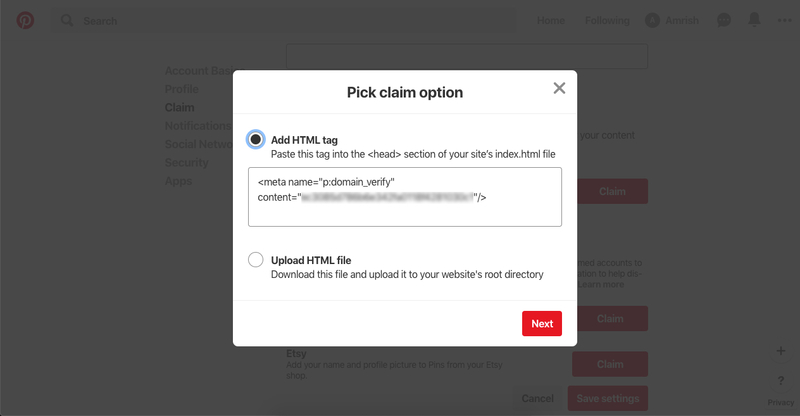 Select “Add HTML tag”. Copy the tag. Paste the above copied meta tag in external script <head> section. Submit your claim request. That’s it.